A former French intelligence agent implicated in a plan to assassinate a Congolese dissident has been found murdered. Daniel Forestier's body was discovered on 21 March in Ballaison, near the Swiss border, riddled with bullets, according to reports in the French media. 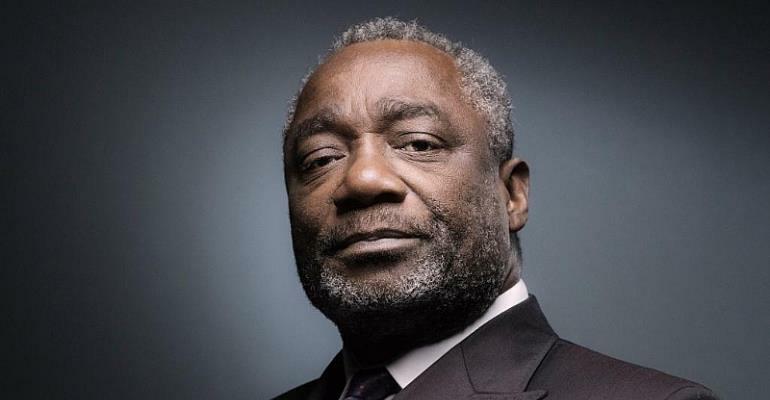 Forestier had been charged last September with being involved with a plan to assassinate Ferdinand Mbaou, an opponent of Denis Sassou-Nguesso, president of Congo Brazzaville. Forestier's body was discovered near a vehicle in a remote car park on the banks of Lake Geneva located between the town of Thonons-les-Bains and Geneva, according to reports from Le Monde newspaper. He was shot five times, including once in the head. The former Directorate-General for External Security (DGSE) officer was charged last year, alongside another former French intelligence agent, with conspiracy and possession of explosives in connection with a plot to kill the former Congolese army general. The DGSE is the French equivalent of the US Central Intelligence Agency or the UK's MI6. Le Monde reported on Tuesday that an investigation had been opened by the public prosecutor's office into Forestier's murder, describing the crime as a revenge killing carried out by professionals. The French newspaper said there was not yet any link established between Forestier's killing and the crime he had been charged with. Forestier and fellow former spy Bruno Susini had admitted their involvement in the planning of the plot against Mbaou, according to the General Directorate for Internal Security (DGSI), the French agency responsible for interior intelligence operations. The DGSI had uncovered the plot and contacted the prosecutor's office in Lyon. The 58-year-old former agent had spent 14 years in the DGSE's service action , a division responsible for planning and performing clandestine and covert operations including black ops. Forestier was alleged to have been heading a group planning to kill opposition figure Mbaou, a long-standing opponent of Congo Brazzaville's Denis Sassou-Nguesso. Forestier carried out scouting missions during May and June 2018 in the Paris region, but had nevertheless reported that the “project wasn't feasible”. “With his death, an essential part of the evidence, and a version of the truth, has disappeared,” said Vincent Brengarth and Henri Thulliez, lawyers acting for Mbaou. “It's now more than ever vital that the investigation is sped up so that the authorities can determine who was responsible for the attempted assassination of Mr Mbaou,” the lawyers said in a statement seen by RFI. Cédric Huissoud, a lawyer acting for Forestier, did not want to respond to questions about the death of his client, according to Le Monde. The former French spy had published books on his exploits as a spy, describing himself as having carried out several missions both in France and abroad. He lived in Lucinges, in the Auvergne-Rhône-Alpes region after leaving the DGSI, becoming an elected member of the town council. Lucinges mayor Jean-Luc Soulat said in a post on social media that Forestier had been “very involved” in the life of the town, adding that the council had learned of his death with “great sadness”. The alleged plot led by Forestier was not the first attempt on the life of long-standing Congolese dissident Mbaou. In November 2015, gunmen shot Mbaou in the back as he left his home in Bessancourt, north of Paris - he still has a bullet lodged in his torso. Mbaou served as the former director for presidential security for President Pascal Lissouba between 1992 and 1997, before going into exile in France when Sassou-Nguesso took power during a brief, but bloody civil war. Forestier is expected to be buried on Saturday at the Catholic church in Cranves-Sales.